Eight competitors are set to take on challengers within the Clash Royale universe at The EE Mobile Series Live Final in London this Sunday 20th January 2019. 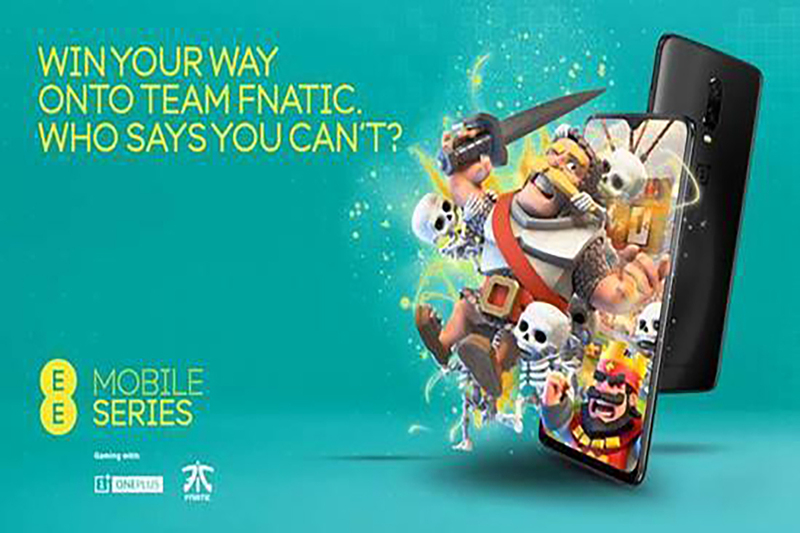 The EE Mobile Series – a pioneering mobile gaming tournament from the UK’s biggest 4G network – is offering avid gamers the chance to compete to become a fully-fledged team member of one of the world’s biggest and most successful esports teams, Fnatic. The victorious contender, who will be crowned the first-ever Champion of The EE Mobile Series, will join the talented Fnatic Clash Royale team roster where they will become a fully-fledged professional esports player. The winning player will receive a full-time competitive salary, world-class training and their own gaming set-up to ensure they have all the tools needed to significantly improve their game by training with the best in the world. They’ll live like a pro with the rest of the team at the Fnatic gaming house. To date, the competition has seen four exciting Group Stages take place, with four groups of competitors playing a best of three single round robin throughout December, with the top two players from each group making up the top eight in The EE Mobile Series Final. The finalists will compete in a best of 3, double elimination bracket with a best of 5 grand final. The successful entrants will lead their Royale Family to victory in the popular universe of Clash Royale over superfast EE 4G network on the all new OnePlus 6T, the exclusive handset partner of the tournament. The EE Mobile Series Final will be broadcast live across EE’s Twitch page, plus other major streaming platforms, so esports enthusiasts can tune in to the action here.